I have never been the one to like beans. I hated eating beans growing up as a kid. But momma knows best. And so I was forced to eat beans a time or two too much. Funny how things change as you get older and your tastes mature and you broaden your food horizons. Guess what? This girl likes beans! 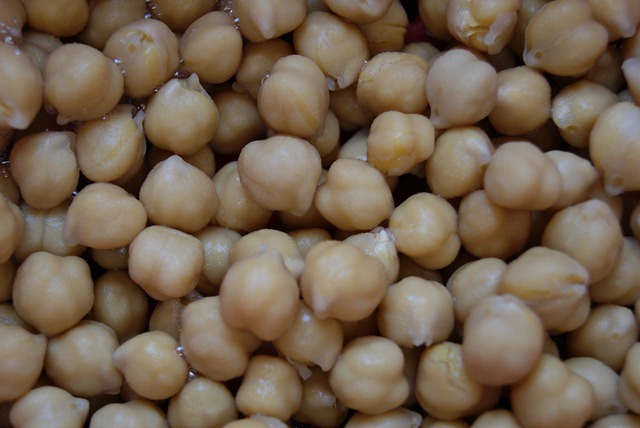 I’ve been known to roast a can of garbanzo beans till crisp in the oven and eat them all because I was craving a salty snack. They are healthier than potato chips. And then I went to Sanibel Island on vacation earlier this year and ate dinner at The Blue Giraffe. 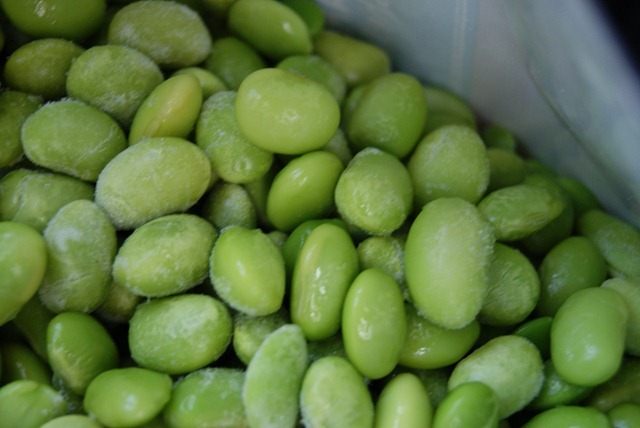 On their side menu was something called edamame salad. I was curious and wanted to try it, so I did and I loved it. I knew I wanted to recreate something similar to it once I got home. 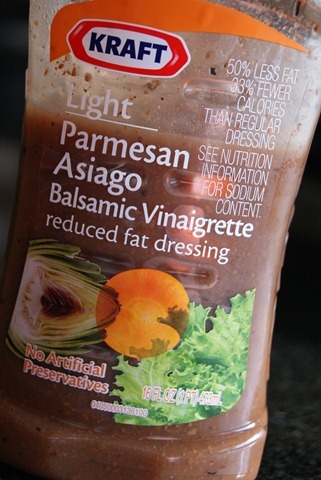 Their dressing was a little too oily for me, so the light dressing I use on this salad makes it delicious! 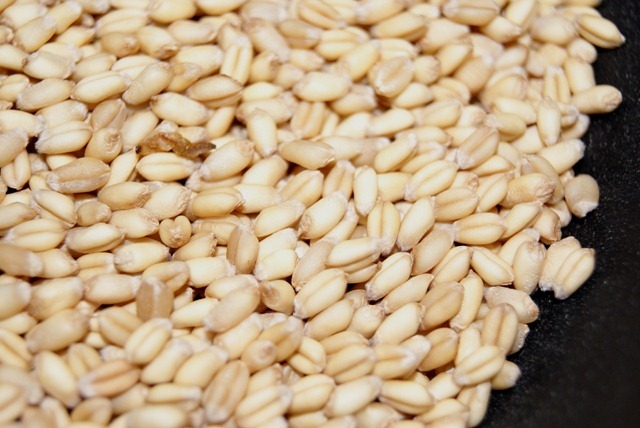 Thanks to Whole Foods bulk bins, I have discovered a new good food, wheatberries! 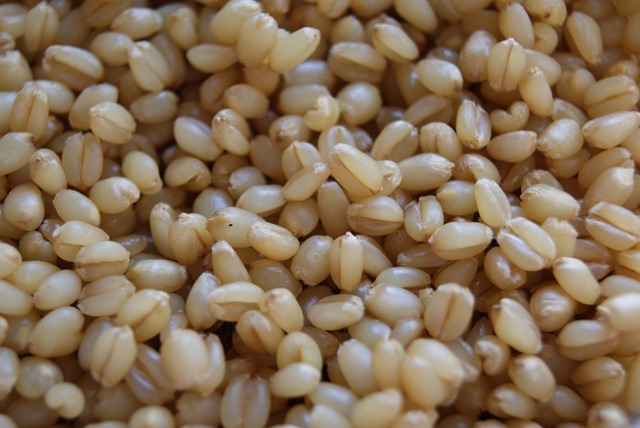 In the pan above, I soaked the wheatberries for 8 hours in water and then boiled for an hour. 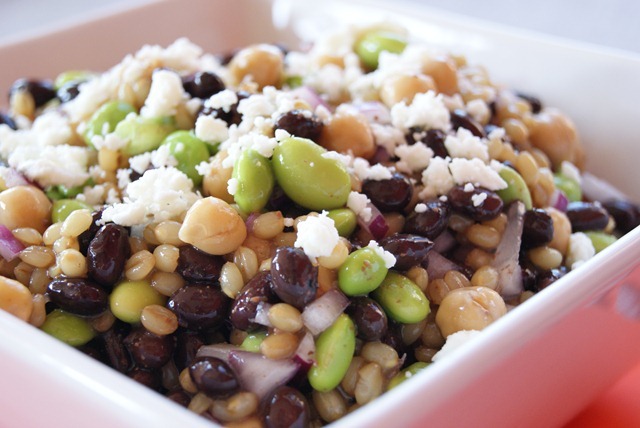 Red onions, chickpeas, black beans, cooked wheatberries, edamame and light parmesan asiago balsamic vinaigrette dressing make up this salad. How simple is that!? 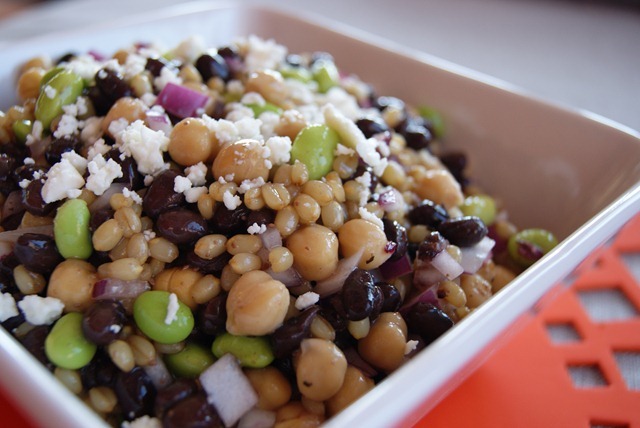 After cooking wheatberries and draining beans, mix all ingredients together. 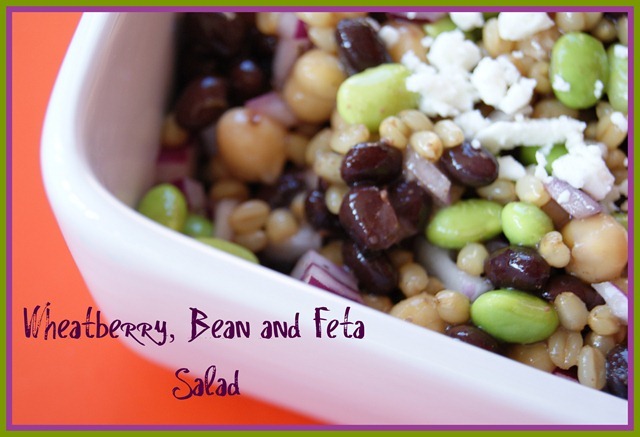 Add dressing and allow salad to sit in fridge for 4 hours or overnight before serving. 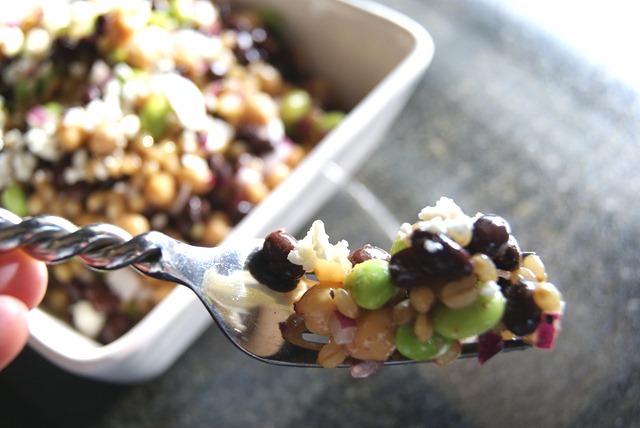 Upon serving, sprinkle with feta cheese. 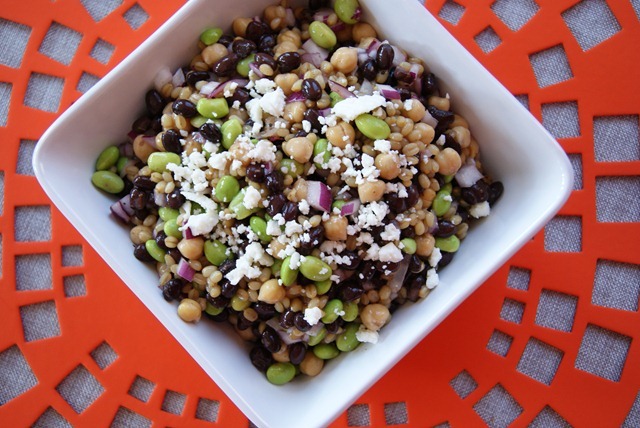 I have ate this bean salad for the last 3 days and I am not sick of it yet. It still tastes good! I served this to my in-laws at our cookout a few days ago and they were raving about it. They said they were even going to go home and get the ingredients to make this themselves. Score! Delicious and nutritious! Plus it’s so cheap to make. Lesson learned: Don’t be skeptical about beans. 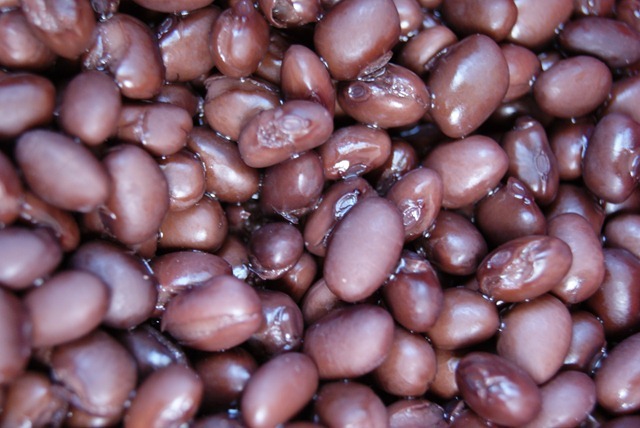 Have you always been a bean lover/hater? What is one food you were skeptical about eating until you actually tried it? 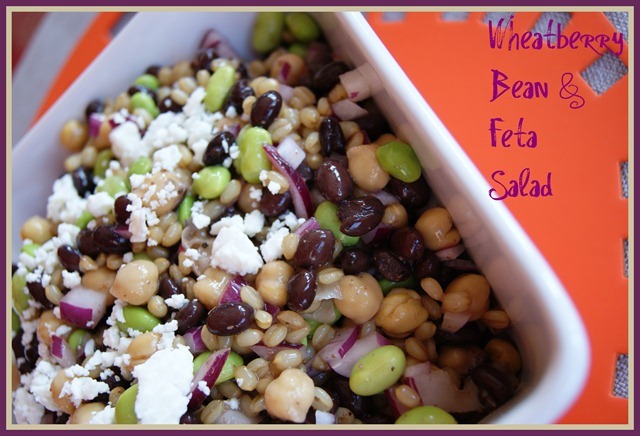 This entry was posted in Deliciousness and tagged Salad, Savory. Bookmark the permalink. My boyfriend is a bean hater… If it has cheese though i might be able to coerce him. I’m so glad that you like beans now! Have you ever tried using them in baked goods? No Kat, I haven’t used beans in baked good. Do you have a good recipe to share with me? This looks so good! I will definitely have to try it! That looks like the perfect cookout side-dish!! Woah! This looks amazing! 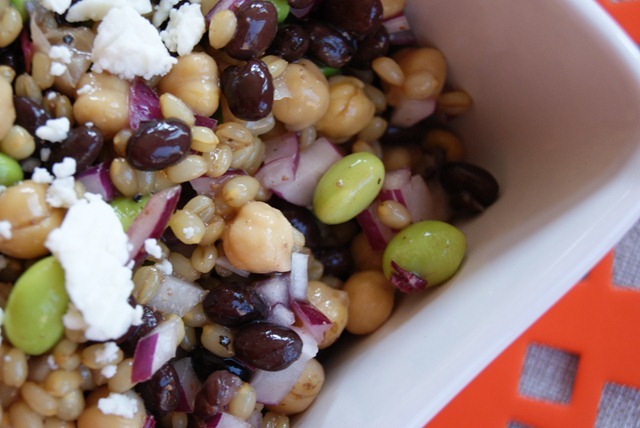 Anything with feta &garbanzo beans is A-OK in my book! That looks so yummy and summery! This looks wonderful! 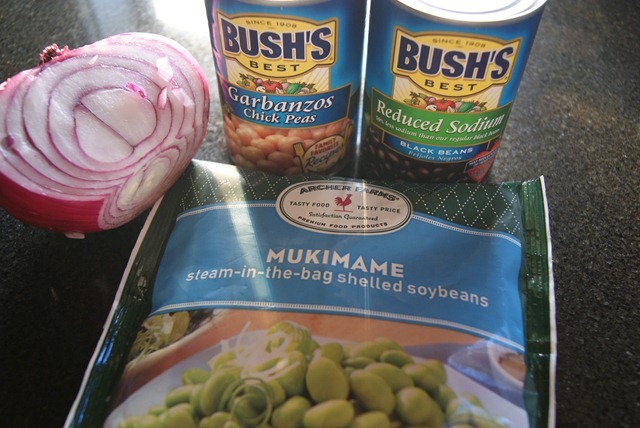 I’m a bean lover, especially garbanzo beans and lentils.